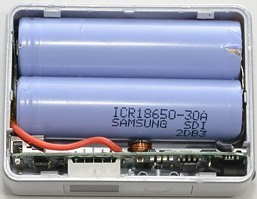 The box has an unspecified number of batteries, a usb outputs and a small flashlight. 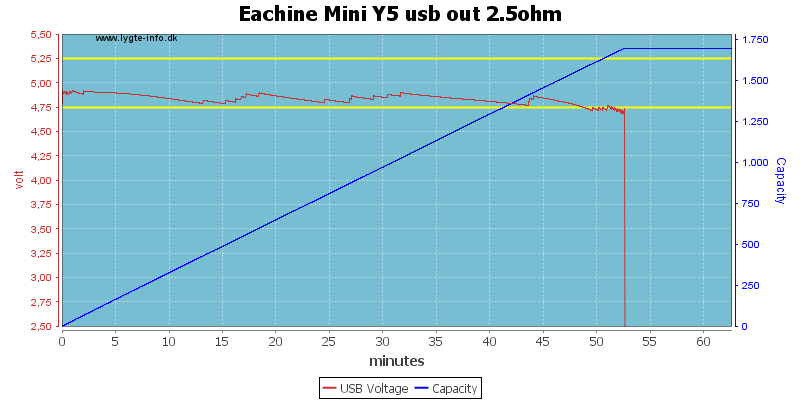 USB cable: 2A Micro USB cable, get faster speed changing via it. Can charge iPhone 5S for 2.5 times, Samsung S4 1.5 times. The power bank is delivered in brown cardboard box with a wrapper. It contains the power bank, a usb cable, a "instruction sheet" and a warranty card. On one of the sides there is the button and display button, it will always turn the display on with a percent remaining value. When the box is on a click on the button will turn the flashlight led on or off. 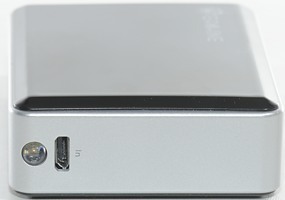 Another side has the micro usb input connector and a led for flashlight usage. 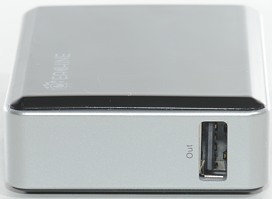 On the third side is the usb output connector. The bottom of the box has the specifications on it. The box did not work as expected and I decided to break it open and take a look. 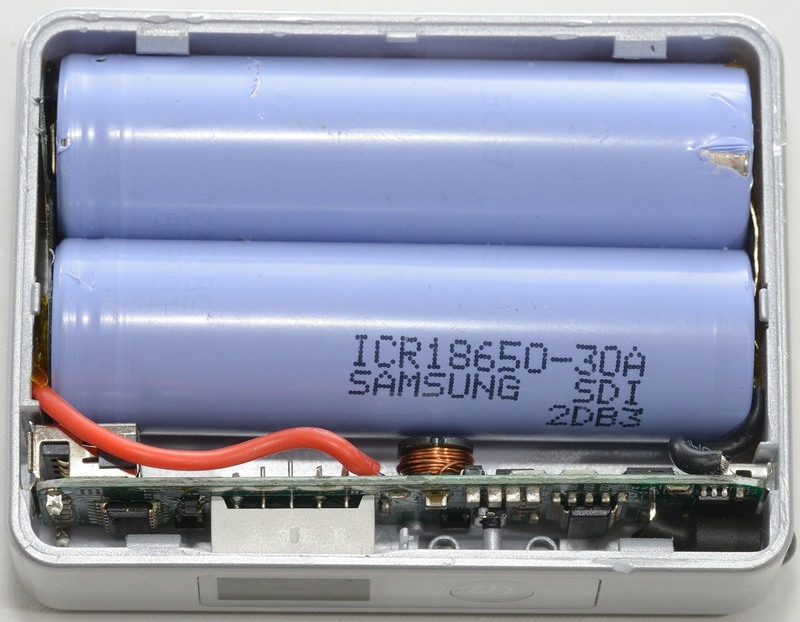 The scratch on the battery is my doing. 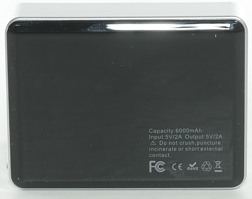 The box uses two 3000mAh Samsung batteries, this looks very good. Here is the problem, one the of battery connections was not welded, i.e. the box uses only one battery. Output is very sensitive and will usual turn on automatic when something is connected. 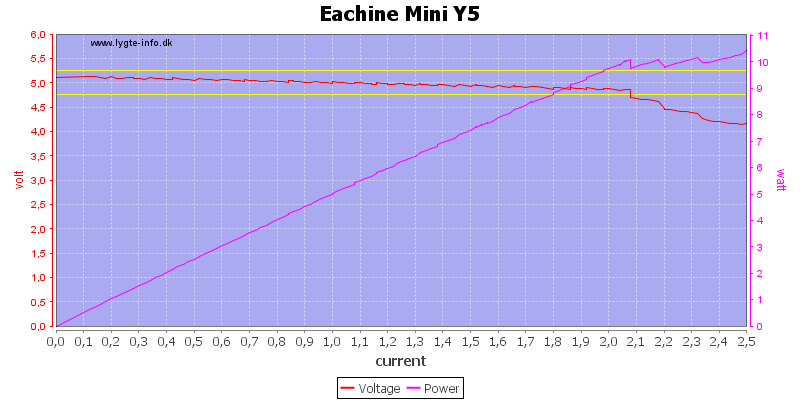 Output will turn off when input power is applied. 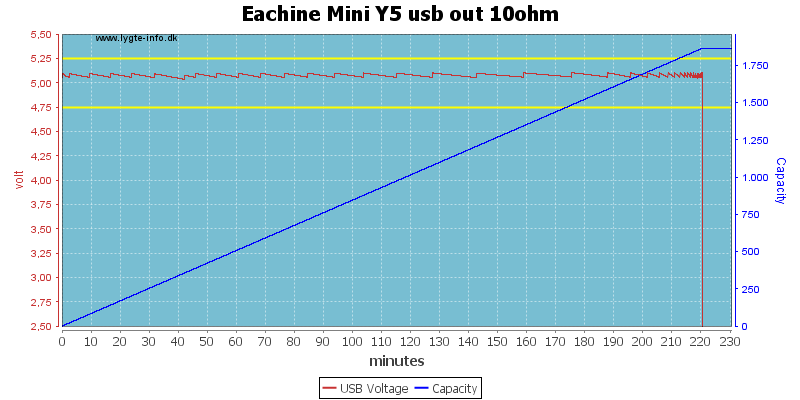 When load drops below 60mA output will turn off after about 15 seconds. The first test is a load sweep to get an idea about the performance. The output can deliver 2A, but it does not look like there is an overload protection. 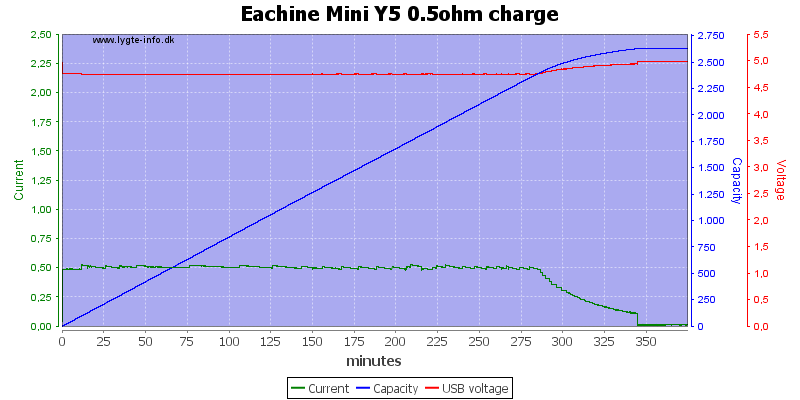 The output looks very fine at 0.5A with about 1800mAh capacity, this is about half the expected capacity. See the look inside for an explanation. At 0.5A load the noise is low with 12mV rms and 140mVpp. 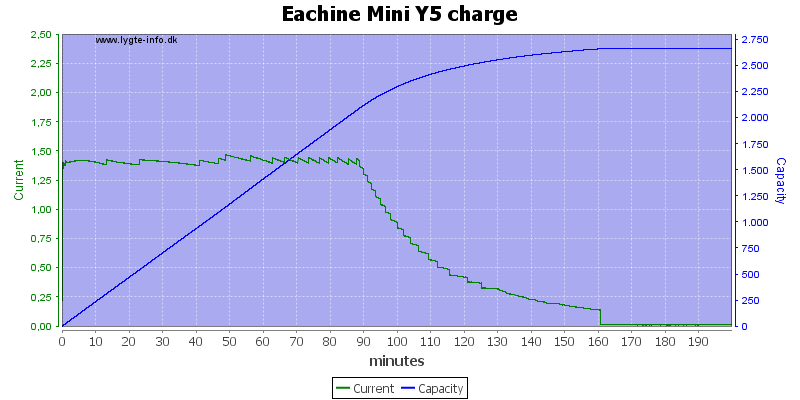 The charge curve looks like a classic CC/CV charge curve and the batteries are charged with around 2700mAh. 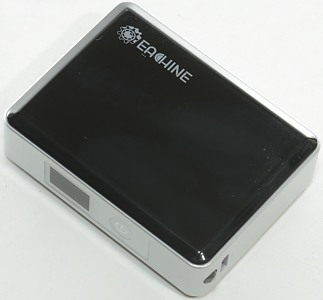 It takes about 2½ hours to fully charge the power bank and requires a usb power supply that can deliver 1.3A. 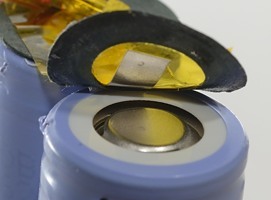 If both batteries had been connected I would expect a charge time between 4 and 5 hours. Adding some series resistance, equivalent to a long cable or a weak charger reduces the charge rate and still does a nice CC/CV charge. The box works fairly well, except for the production fault with the missing battery connection I will call it a good power bank. 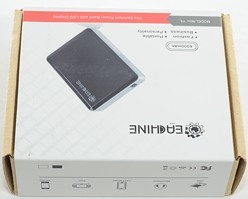 The power bank was supplied by Eachine for review.